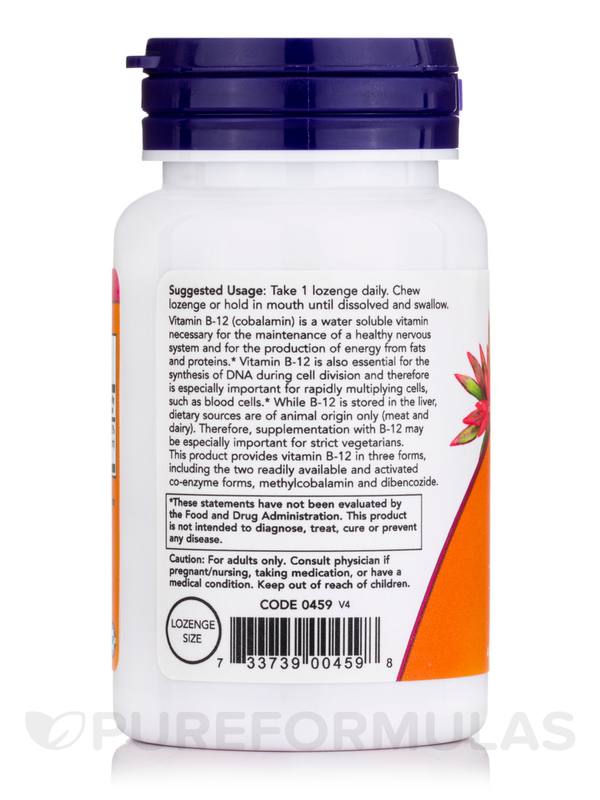 B-12 2000 mcg sublingual lozenges absorb moisture from the air and come in a snap-top bottle which is less air-tight. I store them in a bottle with a screw-on cap and add a few moisture absorbing packs saved from other vitamin bottles. 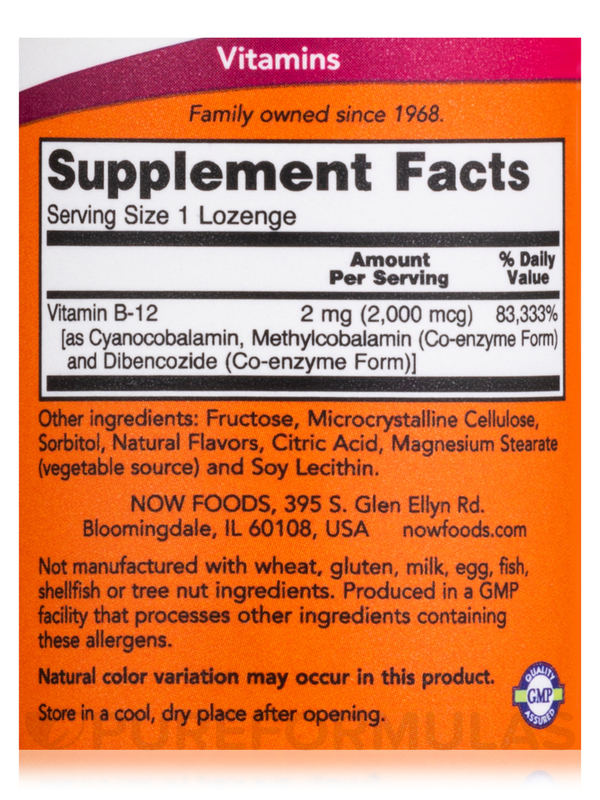 B-12 2000 mcg by NOW keeps my husbands B-12 levels up and stops his hand tremors. He loves that he can put it under his tongue since he can't absorb it any other way - except by shots. Vitamin B-12 (Cyanocobalamin) is a water soluble vitamin necessary for the maintenance of a healthy nervous system and for the metabolic utilization of fats and proteins. 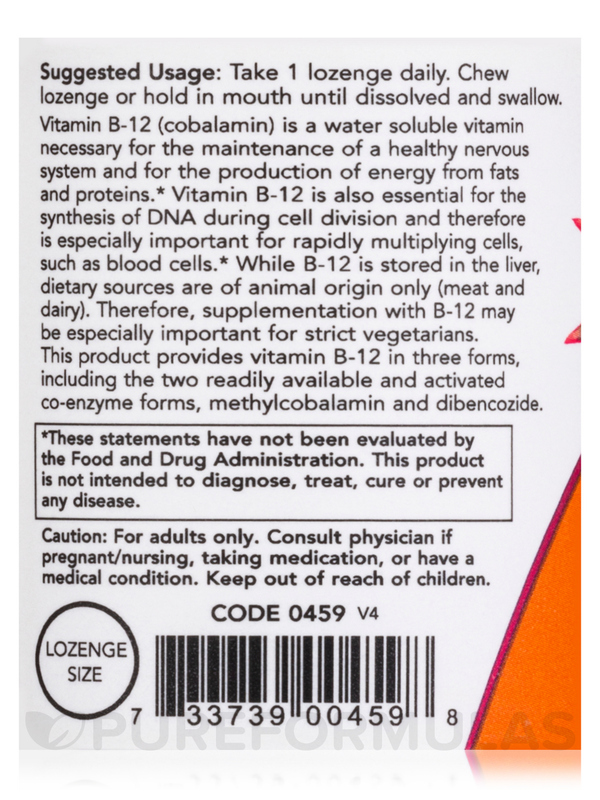 Vitamin B-12 is also essential for the synthesis of DNA during cell division and therefore is especially important for rapidly multiplying cells‚ such as blood cells. 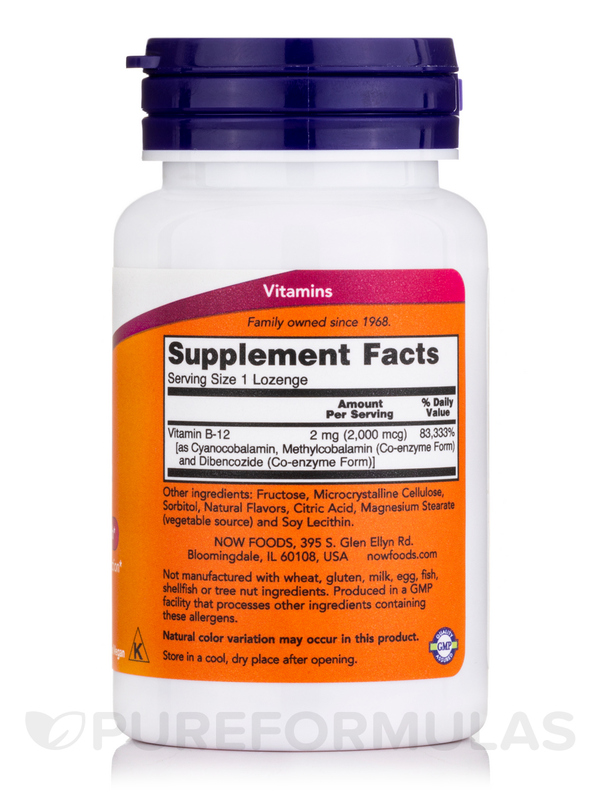 In addition‚ adequate intake of Vitamin B-12‚ along with Folic Acid and Vitamin B-6‚ supports healthy serum homocysteine levels already within the normal range‚ thereby supporting cardiovascular health. Because Vitamin B-12 is found predominantly in animal products‚ strict vegetarians are at risk of developing Vitamin B-12 deficiency and may benefit from supplementation. Other Ingredients: Fructose‚ cellulose‚ sorbitol‚ natural flavors‚ citric acid‚ magnesium stearate (vegetable source) and soy lecithin. Product came earlier than expected. 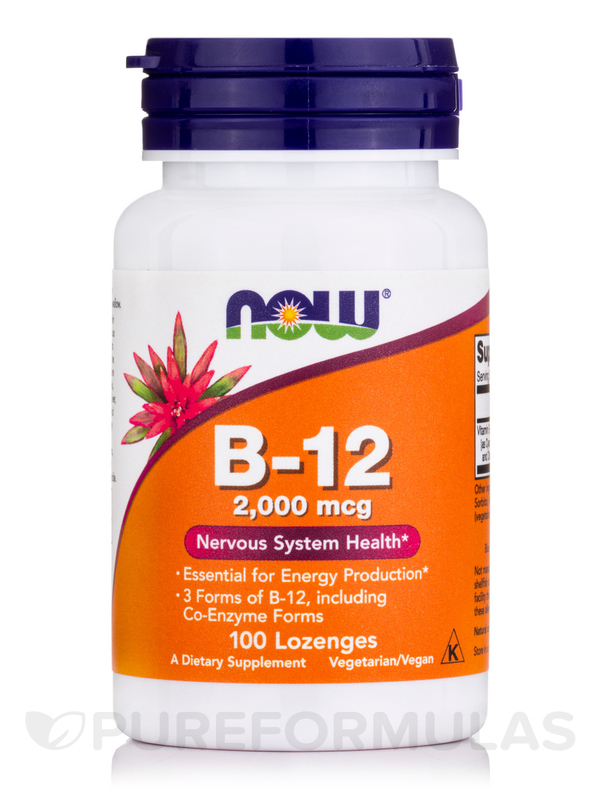 It is a good, economic way to get helpful B-12 boost.